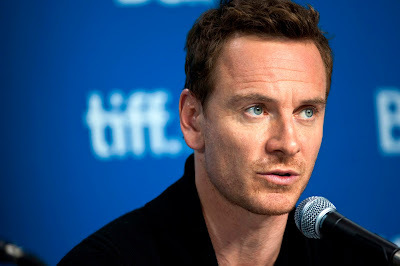 I had a lot of fun dedicating Friday's tweets to Michael Fassbender. As we enter a dark tunnel of worldwide political cyncism, Michael offers light, hope, and inspiration. Sometimes when I'm looking for an image to use for TGIF! or Michael Monday, I have a tough decision to make because there are usually three images I have to choose from based on my current mood, what I want to convey to my readers, and try to use something I haven't used before, or I haven't used in a few years. I communicate with fans from all over the world, and it seems that we're all on the same page in wanting to escape from "reality" and focus on the actor and his film projects for entertainment, fun, and escapism. Now more than ever, this holds true to us Fassinators. The overwhelming success of the Women's March in various cities around the country and world this weekend demonstrate that most women are sadden, disgusted and concerned about the direction of the country that has held the title of Leader of the Free World for so long. We Americans who voted differently are very angry about what's going on in the nation, but I do have hope that this nightmare will end sooner than we think. In the meanwhile, I look forward to continuing to do my best to bring to you some fresh and exciting editorials about Michael and his career as often as I'm able to. If you have any questions or article to suggestions, please email me because I want FF to be your quick go to source for information and commentary on Michael.